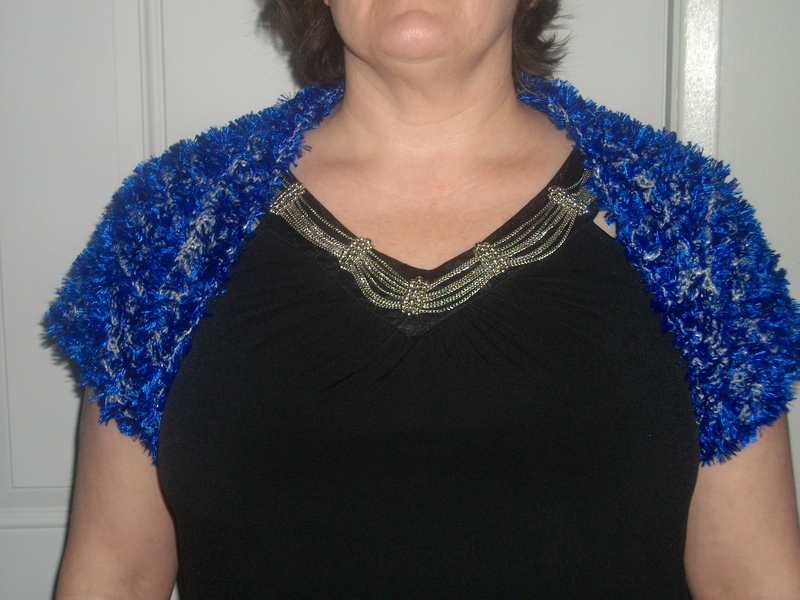 I mentioned before in the “One Skein Knit Shrug” post that my mom had already requested a second, fancier shrug for a gala she had for work. Like the first one I made, I had this one mostly finished before having to rip it out and start again. This time I had managed to get six stitches off on one sleeve, and I have absolutely no idea how I did that. After starting over (using my new, semi-fancy row counter app – Knit Counter Lite. There’s a paid version, but I’m broke and this one works pretty well.) I managed to finish it just in time for the gala. 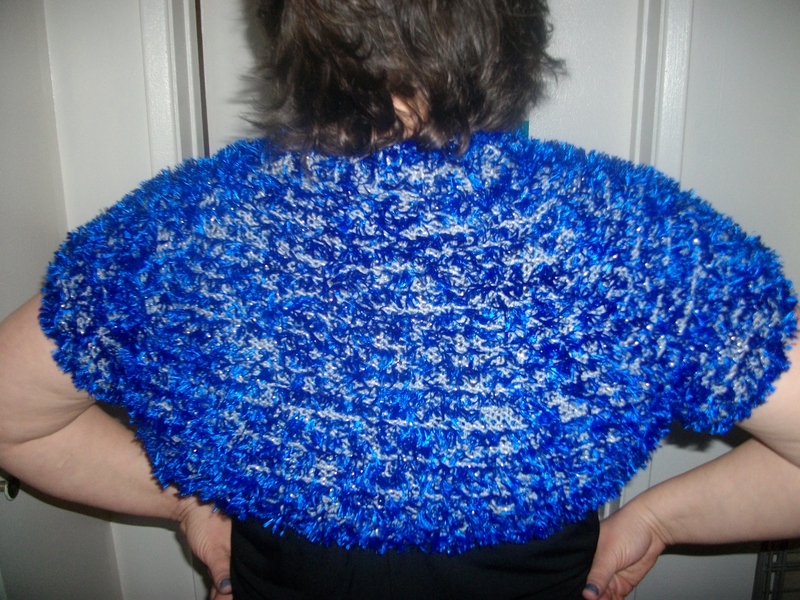 I used a combination of Vanna’s Glamour in Platinum (150) and Bernat Boa in Royal Blue (46208). I added the Boa every three rows to make the silver show through. What do you think of how it turned out? What should I make next? I got lots of compliments on it. Everyone loved it.